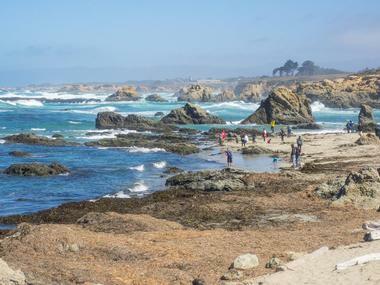 Fort Bragg is a coastal city on California's famed Mendocino Coast. The city is as a popular Northern California getaway for its picturesque Pacific Ocean beaches, many of which are uniquely littered with eroded glass due to the city's ocean dumping practices in the early 20th century. Mendocino Coast Botanical Gardens are a 47-acre botanical garden facility located in Fort Bragg near California Highway One. 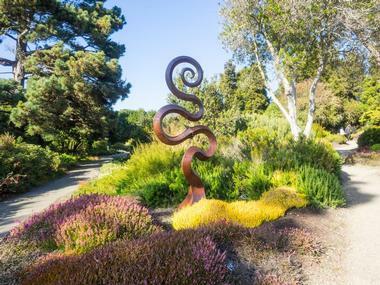 The gardens were originally founded by Betty and Ernest Schoefer in 1961 and maintained as a private property until 1982, when 12 acres were donated to the Mendocino Coast Recreation and Park District. The remaining 35 acres of the facility were acquired in 1991, developed under a master plan according to the California Coastal Conservancy. Today, it is home to significant collections of native and exotic coastal Mediterranean plants, including camellias, fuschias, magnolias, begonias, rhododendrons, and maple and conifer trees. Canyon, wetland, forest, and coastal bluff areas are preserved within the gardens, along with a historic 19th-century home, cemetery, and orchard facility. Public special events at the gardens include an annual Art in the Gardens festival in August and a holiday Festival of Lights. Fort Bragg Coastal Trail is a 4.5-mile-long paved trail that was constructed by the City of Fort Bragg as part of the Fort Bragg Coastal Trail and Restoration Project. The first phase of the trail, which was opened to the public in January of 2015, meanders through 82 acres of the city's former Georgia-Pacific Mill site and other industrial lands, stretching along more than a mile of coastal bluff drainage area that has recently been restored to its natural state. 14 interpretive signs detail facts about the region's natural and economic history, and two welcome plazas welcome trail users at the trail's Glass Beach trailhead. In addition, more than a dozen benches are offered throughout the trail, designed by local artists. A second phase of the trail, expected to be constructed in 2018, will add an additional mile to the trail, featuring more interpretive panels and access stairs to the Fort Bragg Landing beach. 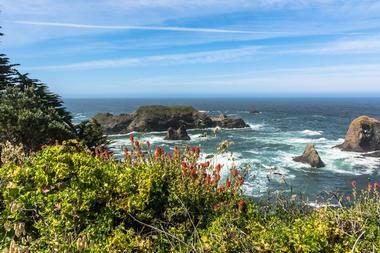 MacKerricher State Park is a California State Park that is located near the city of Fort Bragg in Mendocino County. In 1949, the park was established following the sale of rancher lands to the State of California. Today, it spans along nine miles of coastline, encompassing areas of wetland, forest, headland, dune, and beach habitats. On the park's northern end, Inglenook Fen Ten Mile Dunes Preserve protects a sensitive dune ecosystem, while the Ten Mile River marks the park's northernmost boundary. At its southern end, the park is home to the famed Glass Beach, which is known for its sand-polished glass fields created from garbage deposits in the mid-20th century. Fishing is offered at the 30-acre Lake Clone, a manmade reservoir created by the damming of a former brackish marsh. Other popular outdoor activities include hiking, biking, and horseback riding, with facilities available for overnight camping. Ranger-led programming includes excursions for coastal whale watching. Ricochet Ridge Ranch is a horseback touring company that was originally opened to the public in the 1980s by legendary horsewoman Lari Shea. Since 2015, it has been owned and operated by competitive rider Judy Langevin and her husband Jake. The company offers group and custom trail rides, riding tours, and riding vacations for small groups and individuals, exploring the beautiful natural wonders of Northern California's coastline and redwood region. It prioritizes ecotourism principles, striving to embark on environmentally-responsible excursions that minimize natural impact and empower the local North Coast community. Private and group rides are available for riders ages six and older, with horses available to meet every rider ability level. International Sea Glass Museum was founded in 2009 by Cass Forrington as an effort to preserve and collect the region's recovered sea glass. Following the 1906 California earthquake, the town of Fort Bragg began dumping civic waste into the Pacific Ocean. 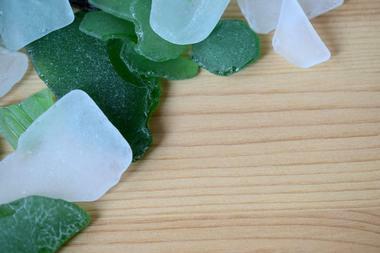 Today, the city is home to the highest concentration of shoreline sea glass in the world, which often washes ashore as tiny pieces of broken and eroded glass. A large collection of pieces recovered by Forrington are showcased at the three-room museum, including rare and odd pieces. Displays are organized by color, explaining the common uses and reasons for coloring, including the creation of lavender glass as a result of the oxidation of magnesium-clarified white glass by the sun. Other recovered items such as marbles, bottle stoppers, and terracottas are also showcased in exhibits. Pacific Star Winery is the only oceanside winery in California, located approximately 12 miles north of the city of Fort Bragg along Coast Highway 1. The winery was originally established in 1988 and was fully developed from an open oceanfront field along the northern Mendocino coastline. Today, it sources grapes from nearby Lake and Mendocino Counties to produce a wide variety of classic wines, including petite sirah, chardonnay, moscato, zinfandel, charbono, carignane, and barbera. Unique blends sold by the company include Dad's Daily Red, Charbera, and It's My Fault. All wines may be tasted at the company's tasting room, which is open Tuesdays, Wednesdays, Fridays, Saturdays, and Sundays during the afternoon hours. Pomo Bluffs Park is a Fort Bragg city park that is located along a rocky bluff near the Noyo River. The park is also known by the names Chicken Point and Todd Point and is visible from Noyo Harbor Beach. It serves as a popular gray whale watching spot between February and April during the species' migration season to northern waters. Hiking and biking are offered along a paved path at the bluff's edge, with additional dirt trails branching off toward wild surf points. Free parking is offered at the site, which also offers public restroom facilities, benches, and a number of interpretive signs detailing the region's natural and cultural history. Dogs are permitted on leashes at the park, though visitors should exercise caution with pets along the steep cliffs. Mendocino Coast Model Railroad and Historical Society is a living history museum and model railroad museum located behind Fort Bragg's historic Skunk Train Depot. The museum is open to the public seven days a week during the morning and afternoon hours and is free to enter with tickets to ride the Skunk Train. 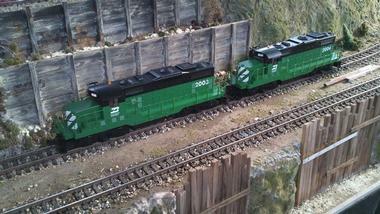 More than 1,300 feet of model railroad track are showcased, equal to more than six miles stretched end to end. The track recreates traditional logging railroads along the Mendocino Coast during the late 19th and early 20th centuries, showcasing recreated model mills, logging camps, piers, and other town structures. Liquid Fusion Kayaking is a kayaking tour company that is operated by business partners Jeff Laxier and Cate Hawthorne, offering interactive, educational tours for participants of all ages. 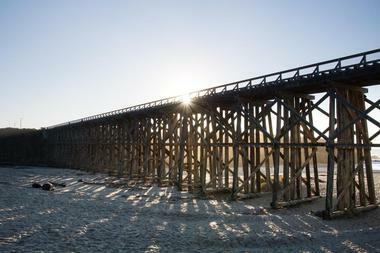 Tours allow participants to explore the Noyo River Estuary and the Mendocino Coast in small groups, with expert tour guides elaborating on the region's natural history and wildlife. Tours include the mild Noyo Meander excursion, the tranquil Sunset Bird Paddle, and the more intense three-hour Whitewater of the Sea excursion. Whitewater, Rock Garden, and Surf Kayak Tours and Safaris are offered for experienced paddlers, combining sea, rock garden, and whitewater adventures. 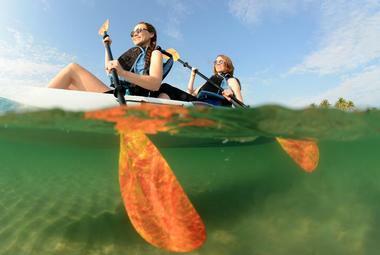 Kayaking classes are also available for novice paddlers, including children's courses for K-12 students. 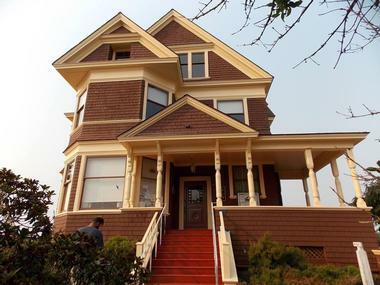 Guest House Museum preserves a historic local mansion originally constructed in 1892 by Fort Bragg Redwood Company business partner Tom Johnson. The mansion was primarily constructed from locally-sourced coastal redwood and was used as senior official offices and a VIP guest facility for the company prior to its completion. It remained in the possession of the company through several business sales and name changes until it was eventually donated to the City of Fort Bragg by the Georgia-Pacific Company in 1985. Today, it is operated as a living history museum overseen by the Fort Bragg-Mendocino Coast Historical Society, showcasing a wide variety of historic railroad and civic history artifacts inside its rooms. Triangle Tattoo and Museum is a tattoo parlor and museum in Fort Bragg that is one of only a few museums in the world to display tattoo-related artifacts. The museum was originally opened in 1986 by tattoo artists, authors, and radio personalities Madame Chinchilla and Mr. G and is located across the street from Fort Bragg's Guest House Museum within an historic Victorian storefront. It is open to the public seven days a week and offers a variety of unique exhibits on the history of tattoos and their use across cultures. Exhibits include an American tattoo patriotism exhibit, a circus sideshow exhibit, and an exhibit on prisoners tattooed without their consent. Displays of tattoo artifacts are also showcased, along with historic photographs of indigenous and Western figures with unique tattoos. Tours of the museum are offered for small groups and organizations, including curriculum-incorporated tours for school groups. Glass Fire Art Glass Gallery is a gallery and art studio located along the Mendocino Coast in Fort Bragg, owned and operated by artists Buster and Trish Dyer since 2005. The gallery showcases the blown glass artworks of Buster, with a focus on lighting fixtures created for home and office use. A wide variety of light fixtures are displayed at the gallery, including the artist's unique jellyfish-style chandeliers and colorful pendant, sconce, and table lamps. Additional works crafted by Dyer are showcased at the nearby Silver's Restaurant, which serves upscale seafood-focused dishes at lunch and dinner. In addition to displayed works, custom lamps may be ordered by customers, with the artist working directly with clients to create unique pieces based on lighting needs. North Coast Brewing Company is a regional Mendocino Coast independent craft brewery that was originally founded in 1988 by Mark Ruedrich. The brewery is known nationally for its award-winning reputation, with its beers receiving more than 100 awards from regional and international competitions. 19 year-round and seasonal brews are produced by the company, including its flagship Red Seal Ale, Scrimshaw Pilsner, and Old Rasputin Russian Imperial Stout, with beers distributed nationally to 48 states. The brewery also brews historic San Francisco beers under its Acme label, which it acquired in 1994. 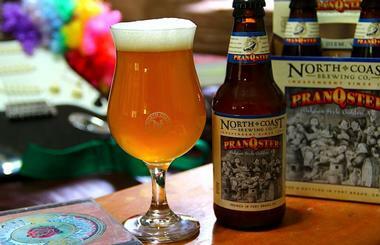 It operates a taproom and restaurant in Fort Bragg, serving made-to-order pizzas and upscale pub fare. The brewery is also the annual sponsor of the Monterey Jazz Festival, SFJazz, the Mendocino Film Festival, and the Oregon Jazz Party. 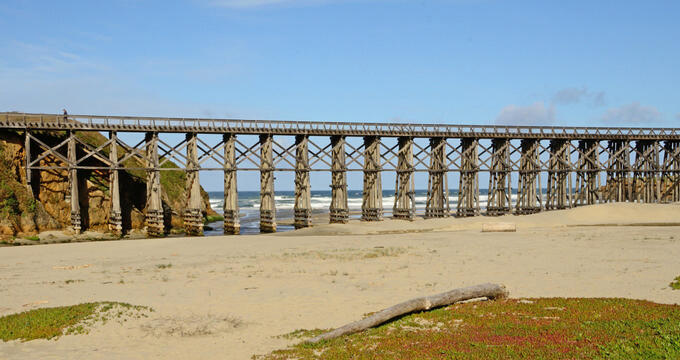 Pudding Creek Beach is a public-use beach that is located near MacKerricher State Park, underneath a former train trestle that is now operated as a recreational trail bridge. The beach is located within a deep sandy cove at the mouth of Pudding Creek and is surrounded by high rock walls, accessible via a free visitor parking lot along Highway 1. It is home to a large tidal pool and a number of meandering footpaths, which connect to hiking trails that lead south toward Glass Beach and MacKerricher Main Beach. 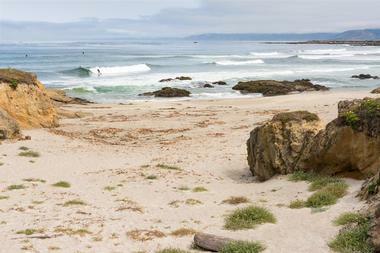 Sunbathing and swimming are popular seasonal activities at the beach, along with tide pool exploration and biking. Dogs are permitted at the beach on leashes, and public restroom facilities are provided for visitors. Skunk Train is a world-famous historic railroad train that is operated within California's Mendocino County, offering opportunities for visitors to ride aboard an historic 1885 train formerly operated as part of the California Western Railroad. It earned its nickname in 1925, due to the introduction of single-unit, self-propelled motorcars and the odor their engines produced. Trains embark from stations at Fort Bragg and nearby Willits, traversing Mendocino County's iconic Redwood Route as part of guided excursion routes. Noyo River Canyon excursions embark from Fort Bragg, traveling alongside the Pudding Creek estuary and the Noyo River and showcasing native flora and fauna. 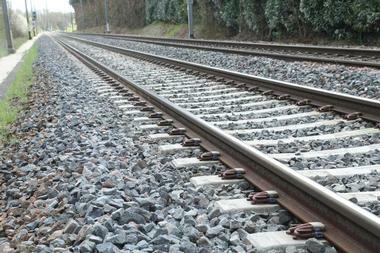 Special excursion trains are also offered, including barbecue dinner trains. Food and beverages are sold on the train, including specially-brewed Skunk Beer, bottled for the train by Anderson Valley Brewing Company. Seaside Beach is located nine miles from the city of Fort Bragg, adjacent to the northern side of MacKerricher State Park at the outlet of Seaside Creek into the Pacific Ocean. The public beach is also known as Seaside Creek Beach and offers a variety of visitors activities, including opportunities for beachcombing and photography. A small free visitor parking lot for the beach is located along Highway 1, approximately a mile north of the Ten Mile River bridge. Several hidden beach areas are accessible via natural rock tunnels, showcasing natural wonders such as Whale Rock Arch. Dogs are permitted at the beach on leashes, though visitors are advised to exercise caution with pets near rocky shoreline areas. Otis R. Johnson Wilderness Park is located adjacent to Fort Bragg Middle School, offering seven acres of outdoor recreational activities and natural areas. A network of walking trails are offered at the park, traversing a partially forested habitat and offering up-close experiences with nature. A restored wood footbridge crosses a stream crossing, rebuilt in 2011 following a windfall. The park is also currently undergoing a comprehensive aquatic re-vegetation and restoration program that is supported by California River parkways and the Salmon Restoration Association, attempting to clear out invasive exotic plants and restore natural habitats. 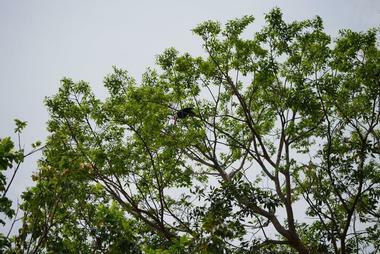 The park is open to the public from dawn to dusk seven days a week year round. Jackson State Forest is a 48,000-acre state forest that was originally established in 1948 on the site of an industrial logging area, which was purchased by the State of California in 1947. 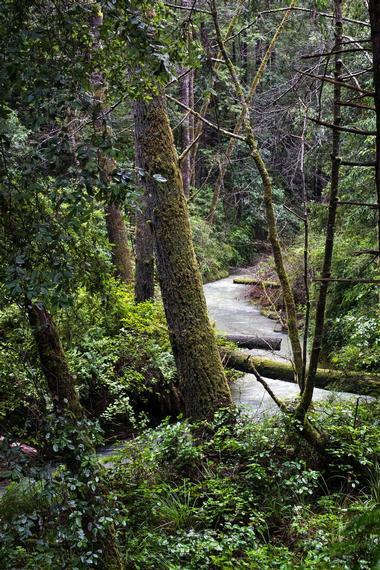 Today, it is the site of the largest of eight demonstration forests maintained by CAL FIRE, located within the heart of the Mendocino Coast's redwood region. It is home to significant populations of coastal redwood, Douglas and grand fir, bishop pine, hemlock, and alder trees, along with a wide variety of native wildlife. Three demonstration trails are offered at the forest, including the Forest History Trail and the Waterfall Grove Trail. Popular recreational activities include hiking, biking, horseback riding, picnicking, and swimming, with seasonal campgrounds available between mid-May and September at two campground sites. Seasonal hunting is also permitted, though visitors should note that fishing is not permitted at the site due to state Department of Fish and Wildlife ordinances. 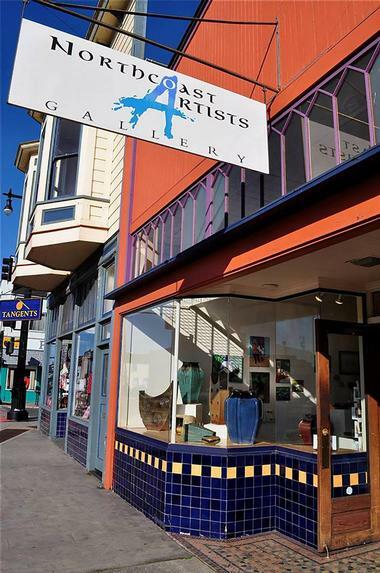 Northcoast Artists Gallery was founded in 1986 as Fort Bragg's first artist's cooperative, paving the way for the region's burgeoning arts scene. The gallery was originally housed at Franklin Street's Barracks Mall and is currently located within the former Zipper clothing store building on Main Street. It is fully member-operated and offers ongoing displays of gallery work, including monthly rotating feature solo and group exhibits. 20 full-time gallery members create multidisciplinary works in mediums such as photography, sculpture, painting, textiles, and jewelry-making. Every year, the gallery hosts an annual Friends Show, inviting local artists and longtime associates to display their work for the local community. 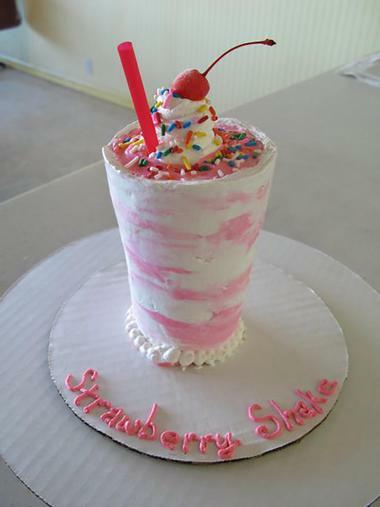 Cowlicks Hand Made Ice Cream is a family-owned ice cream parlor that was originally opened by Johanna and David Jensen in 2001. Today, the iconic Fort Bragg ice creamery has been named as one of the nation's top independent ice cream stores by TripAdvisor and Daily Candy. It produces all of its artisan ice cream by hand in small batches, using high-quality ingredients that are hand-selected to craft the best ice cream flavors possible. All flavors are made daily at the parlor's production facility, with chocolates sourced by local San Francisco chocolatier Guittard and cookie dough sourced from the Mendocino Cookie Company. 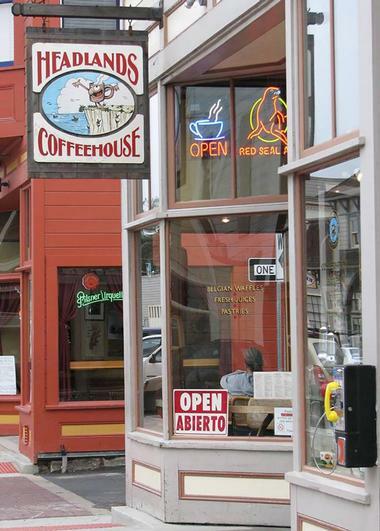 Headlands Coffeehouse was originally opened in April of 1995 by co-owners Mary, David, and Peter Gealey and purchased in 2006 by husband and wife team Juan and Lenore Naal. The coffee shop strives to create an ambiance of a neighborhood hangout and jazz spot, offering live jazz, folk, and world music performances seven nights a week. A wide variety of classic coffee shop beverages are served, including the shop's signature blended frozen Glacier beverages. Full light fare breakfast, lunch, and dinner menus are served, highlighting menu items such as Fort Bragg Bakery bagels, grilled panini sandwiches, chicken enchiladas, and African vegetable samosas. A variety of local wines and beers are also served, including North Coast and Anderson Valley Brewing Company ales and wines from Navarro and Husch Vineyards. Monthly art exhibits are presented on a rotating basis, showcasing the work of local artists. 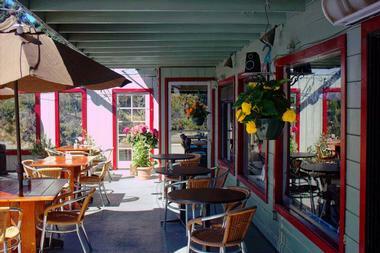 Silver's at the Wharf Restaurant is one of the Mendocino Coast's oldest restaurants and lodging houses, originally opened in the 1940s as Anchor Lodge. The lodging house's restaurant was opened in the 1950s as a coffee shop serving light fare and has transformed today into an upscale seafood-focused restaurant operated by brothers Silver and Juan Pablo Canul. A wide variety of sea fare is served at lunch and dinner, including cioppino, Dungeness crab, lobster tails, and the restaurant's award-winning crab cakes. Land entrees are also available, including prime rib and game hens, with lighter fare options available such as fish tacos, crab melts, and seafood quesadillas. The restaurant's Sports Lounge offers a dog-friendly seasonal deck and full menu service, serving up a variety of local craft beers and wines.